16:9 wide screen with 1920×1080 resolution is optimized for Full HD 1080p vision and enables borderless full-screen video display. 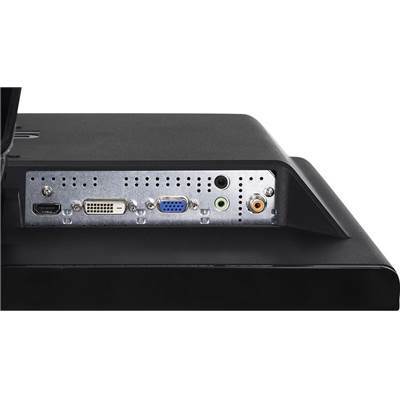 Embedded HDMI simplifies cabling and provides the highest-quality video and audio experience. Pristine and stunning clarity of HD DVD and Blu-ray Discs. Great for both video games and HD DVD movies playback. ASCR (ASUS Smart Contrast Ratio) Technology automatically adjusts the luminance of the backlight for better displays according to the image contents, and improves the contrast ratio to 20000:1 - resulting in more realistic depictions of night scenes during games or movies. Splendid™ Video Intelligence Technology adopts a color engine to detect activation and usage of video applications and automatically optimizes image quality with intelligent color, brightness, contrast and sharpness corrections for the best visual results. The Splendid™ offers 5 video modes designed for scenery, theater, gaming, night view, and standard images, 3 skin tones of yellowish, natural and reddish to add a human touch to videos on PC. You can see optimized images on screen and select five modes via hotkey quickly at your will. The exclusive SPLENDID™ Video Intelligence Technology from ASUS optimizes overall display for the best results in image preview, movie playback and gaming. 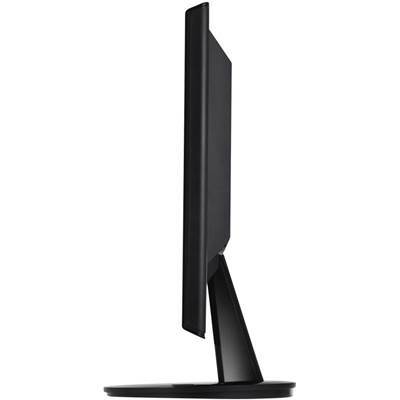 ASUS VH232H LCD Monitor: Splendid™ optimizes sharpness, contrast, and color for vibrant viewing during playback. 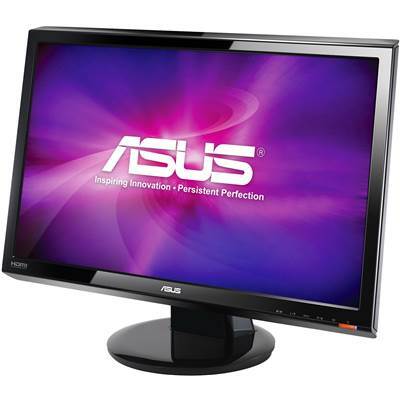 ASUS VH232H LCD Monitor: Just activate night mode to bring out image details in scenes with limited light source as in the movies and games. 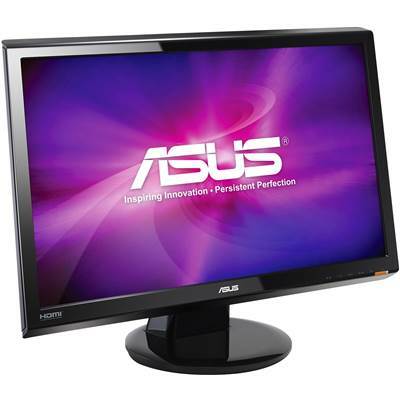 ASUS VH232H LCD Monitor: Satisfies gamers with unparalleled color saturation and details for a realistic gaming experience. 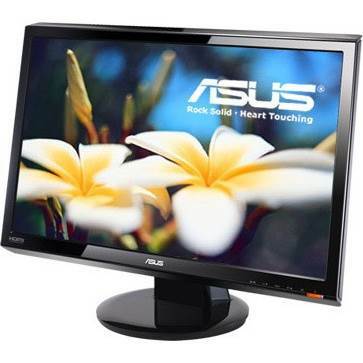 ASUS VH232H LCD Monitor: Contrast / brightness enhancement provides vivid, lifelike images. 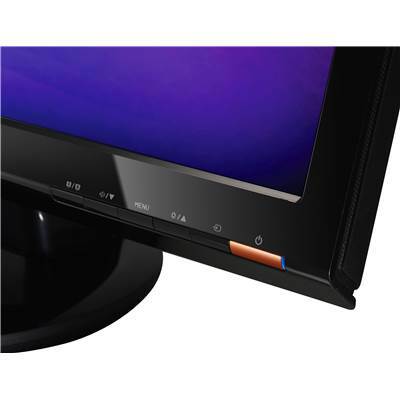 ASUS VH232H LCD Monitor: SPLENDID provides three skin tones - natural, reddush, and yellowish - to that users can choose to apply the characters in display for different graphic applications. 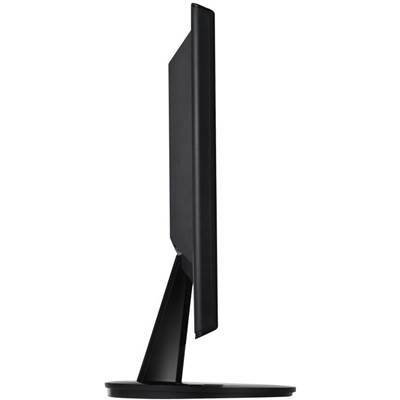 Glare black frame and smooth base design create a fresh new look of LCD monitors. Built-in hidden stereo speakers for multimedia enjoyment. Cable manager gets rid of tangling cables and wires. VESA Wall Mount Standard (100 x 100 mm ).